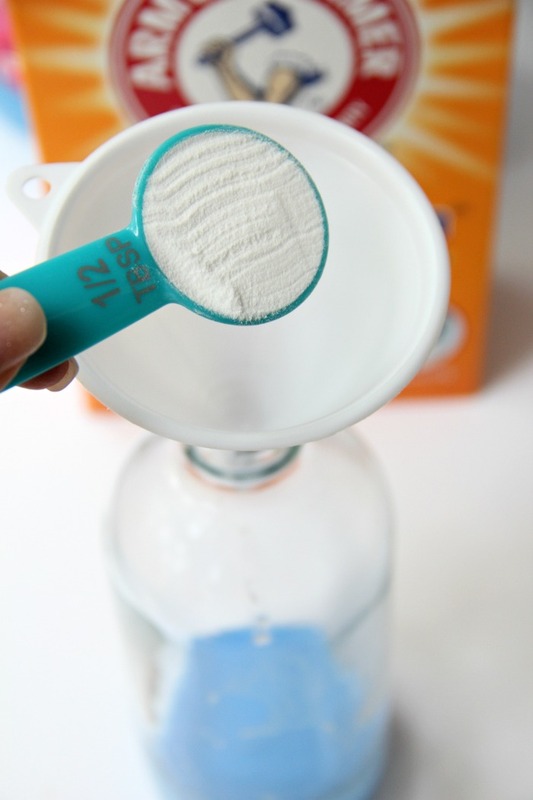 DIY Air Freshener – Two-ingredient air freshener you can make right at home to freshen up every room in your house. The scent is wonderful and long lasting! Who else is enjoying the warmer weather?! I love being able to open the windows at night and in the morning to get some fresh air flowing through the house. 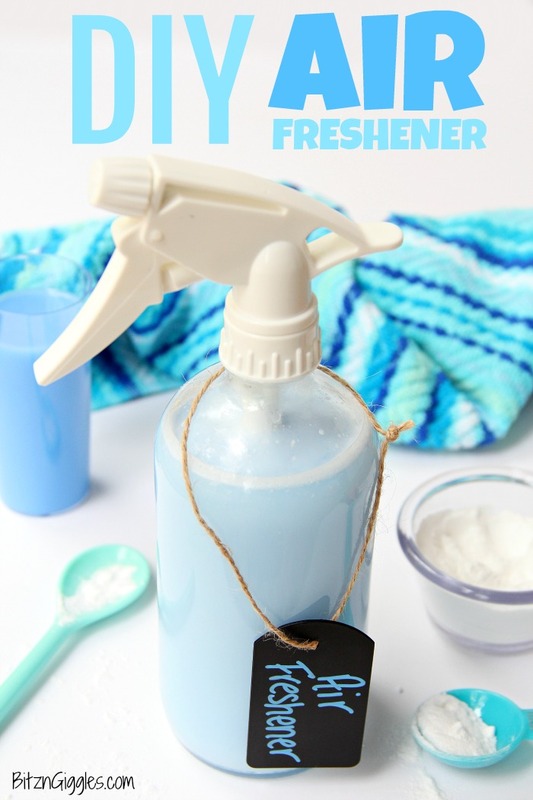 For extra fragrance and freshness, I go through each room and spray a couple spritzes of this DIY Air Freshener. It’s fragrant, long-lasting and only two-ingredients (not including water)! 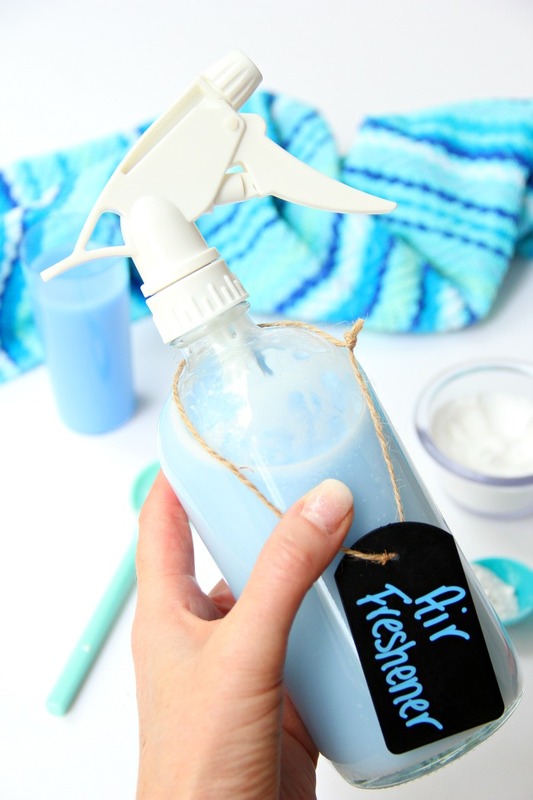 Ready to add a little extra freshness and fragrance to your home? Let’s get started! I used a 16 ounce glass spray bottle to hold the freshener. 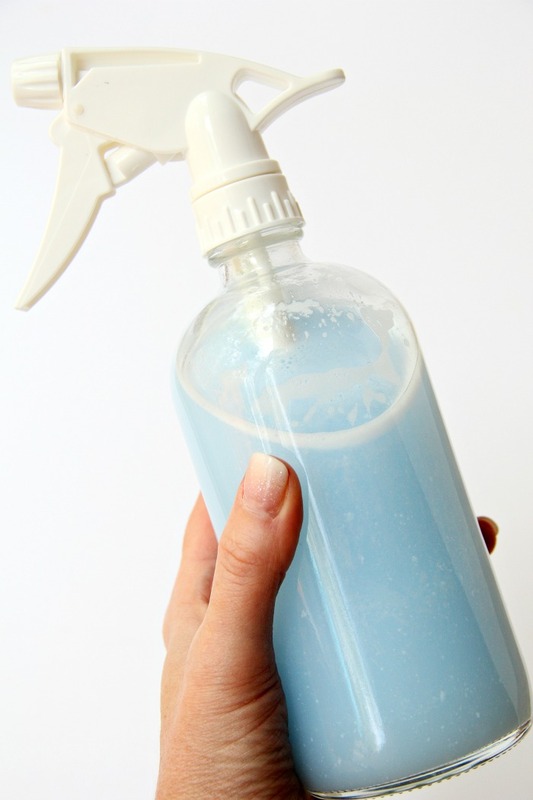 Begin by taking your empty spray bottle and adding the softener. I used a funnel to ensure I got it all into the jar. Next, add the baking soda. 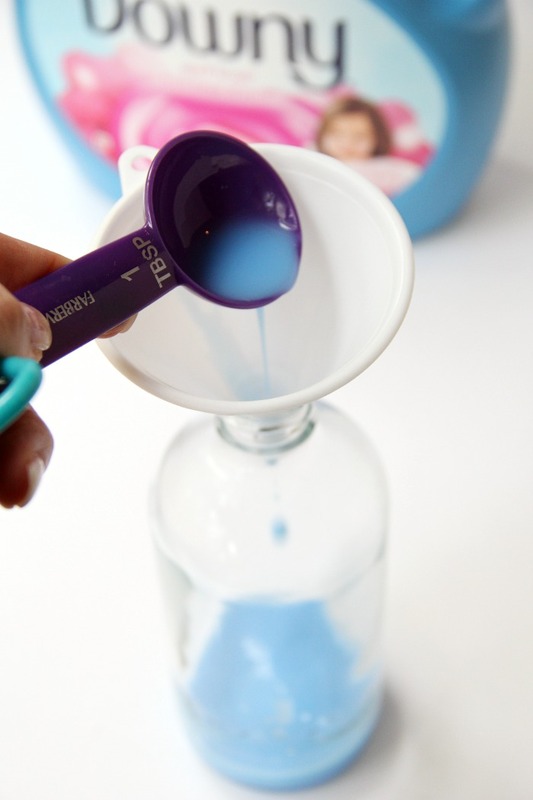 I used the funnel again, but made sure to dry it off from step one when I added the softener to prevent the baking soda from sticking to the funnel when I poured it in. The final step is adding the water. I add lukewarm water to ensure the baking soda dissolves. After you seal the bottle up, shake it well to combine the ingredients. And. . .you’re ready to go! Pretty easy, right? 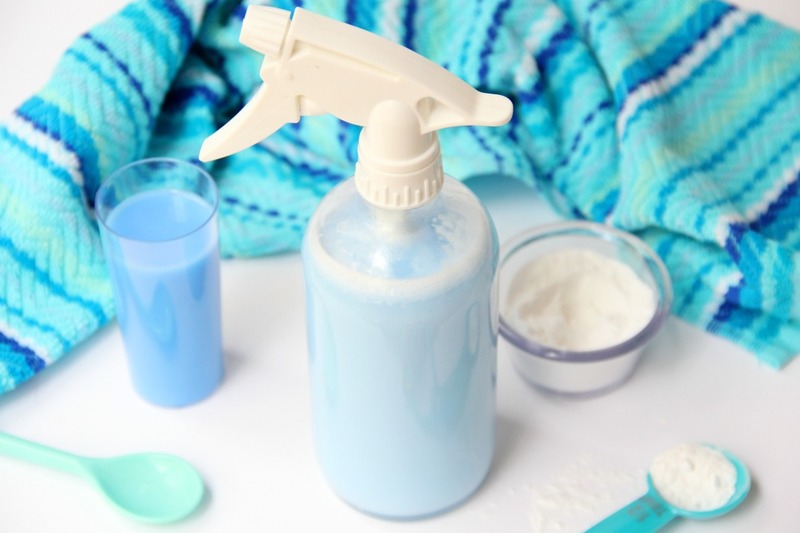 It’s fun to play around with different softener brands and scents and create different fragrances for specific rooms in your home. And just so everyone in the house knows “what’s in the bottle,” you can add a pretty label or tag to identify it. One of my favorite uses for this DIY air freshener is in the garage for our annual neighborhood garage sale. Once I have everything set up on tables and out of their boxes, I grab my spray bottle to freshen everything up. I even go ahead and spritz the clothes I’m selling. It helps remove some of the “mustiness” that often gets into the clothes when storing them in boxes or bins. 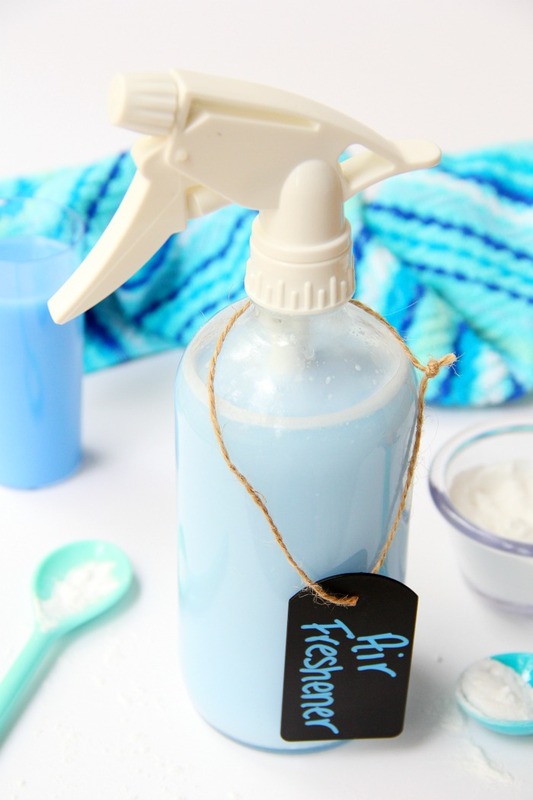 Chances are, you have everything you need in your home at this very moment to make this DIY air freshener. 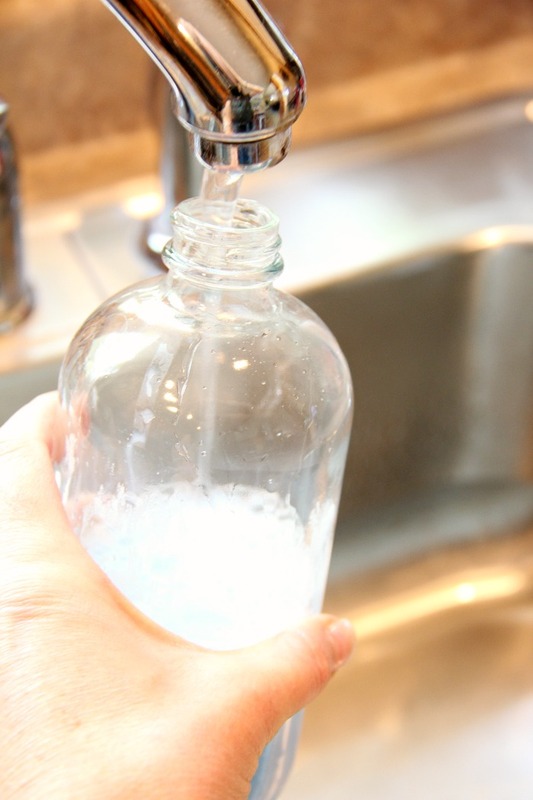 Just for the record, you can use a plastic or glass spray bottle. 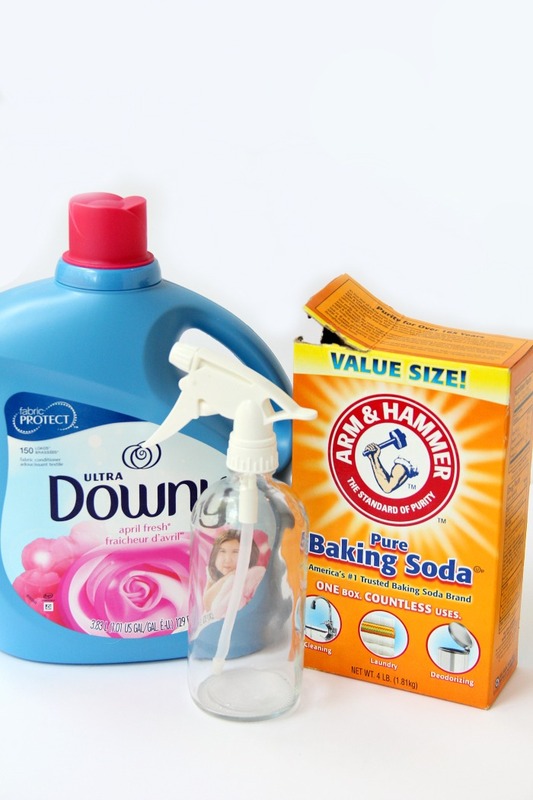 Have fun with it, experiment with different fabric softeners and find a fragrance you absolutely❤. Looking for More Fresh Ideas? Thanks for sharing such a nice DIY recipe.